The Yale Film Society is excited to invite award-winning experimental filmmaker Simon Liu to campus to present a selection of his short works. Liu’s filmmaking probes themes of diaspora, belonging, and displacement through a multi-screen practice that joins cities across oceans and laces quiet domestic rituals into patterns of hypermodern consumption. The hour-long program will feature time-condensed 35mm photography (Star Ferry), dual and quadruple 16mm projection (Harbour City, Cluster Click City Sundays REDUX), and an exclusive look at a work in progress. There will be a Q&A after the screening. 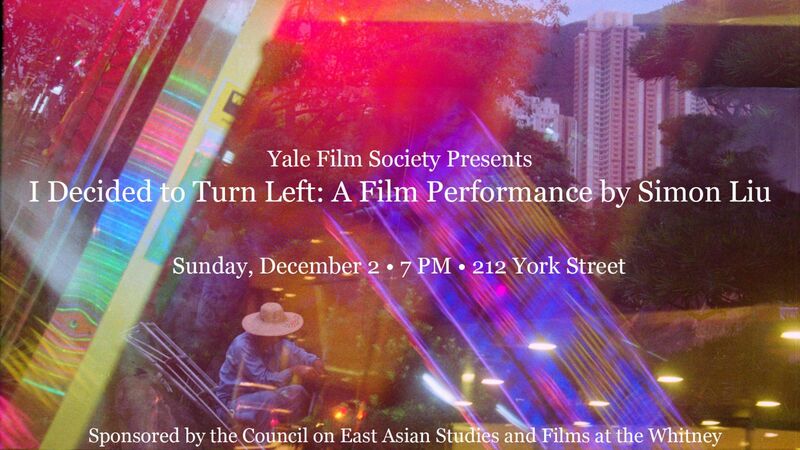 The screening will take place in 212 York Street on Sunday, December 2, at 7pm. It is free and open to the public.